As I announced my travel plans for Europe I took some heat. My trip across Western Europe was quick and was meant to hit only the largest destinations. As such, I received countless comments saying “I can’t believe you’re not going to…”. I ignored most of the messages full-well knowing that I couldn’t possibly visit all the European destinations and still make it to Morocco before the summer season began. However, there was one destination I couldn’t skip; of all the other places I was to skip the cries that “I must visit Seville” were far too loud to ignore. I added Seville to my schedule thanks to countless recommendations, and in the end I’m sure that if I ever heard of someone else planning on skipping the city I would offer them the same push. Seville was easily my favourite city in Spain, and perhaps my favourite in all of Europe. Explaining my fondness of Seville can’t be properly transcribed. 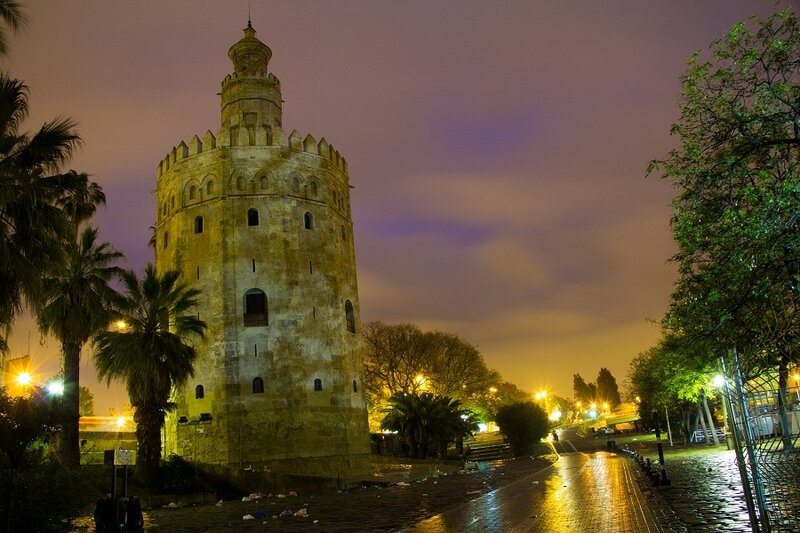 Seville is touristy, it is a little bit tacky, and it is certainly not off the beaten path. Still, there is something special to the city; the method of life, the narrow medina-like alleyways and the tapas culture have such a phenomenal emotional draw. But it’s more than just the obvious, I think; it’s the flavour of the city. Seville’s history is strewn with cultural change and turnover. From the Venetians to the Romans, from the Moors to the Christians, Seville has been through a lot. However, unlike many places in the world, Seville has somehow managed to intertwine its past with its present. The city’s architecture is a weaving of styles and shapes. Rather than demolishing the Moorish minaret, for example, it has been “refurbished” in Christian styling. In many ways, you can almost read the city of Seville by peeling through its layers. On the surface, Seville is but a simple city adorned by tourists drawn by horse-carriage. But beneath that shell lays a wealth of stories and myths. 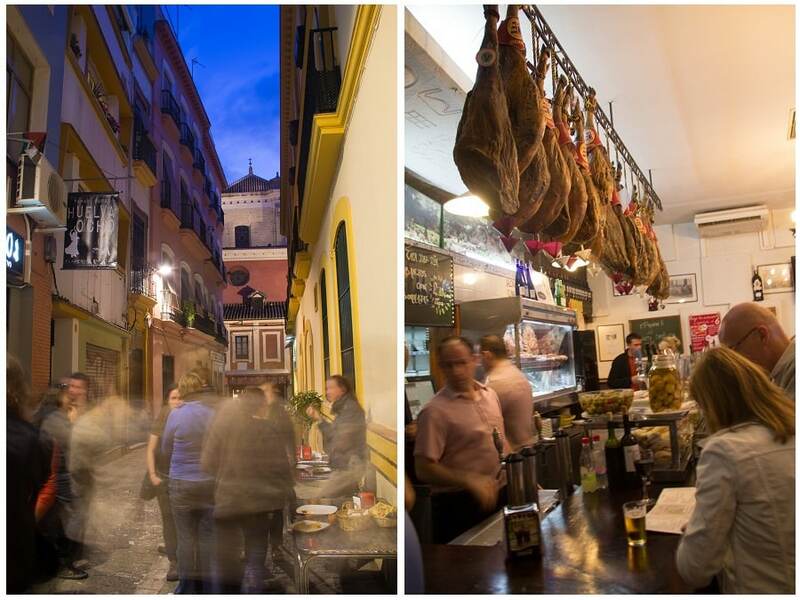 It’s easy explaining to people why you like Seville: it’s the cheap tapas and draft beer, its narrow walkways that buzz occasionally with hopped up scooters, and maybe it’s even the architecture. However, describing the love for a city means cutting to the core. 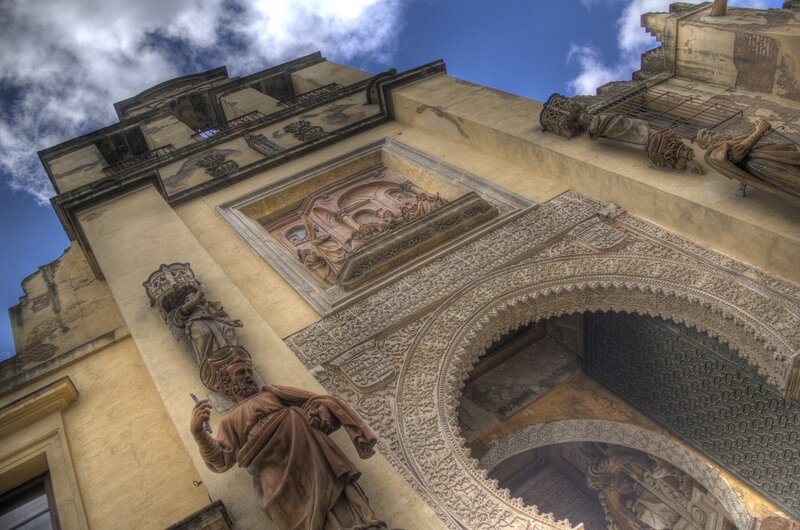 In Seville, like most cities of the world, the heart of the city is tied directly to its past. However, unlike most cities of the world, the history of Seville is nor clearly visible nor is it masked, it is hidden in plain sight like a riddle waiting to be solved. Another great post, Brendan. Love seeing Sevilla get the attention it deserves. I spent but a week there in 2006, but loved the city’s lifestyle. There’s beauty all around too, as your photos demonstrate. I’ve thought about making Spain my next home once I leave Brazil, and Sevilla is on the short list of cities I’d consider. The only downside I’d say is that it gets CRAZY hot in the summer. Thankfully, the siestas keep you indoors during the worst of it. Safe travels! Thanks Juan, Seville is definitely a great city. I loved my time there and hope to go back. Who knows, maybe it could even be a base someday? Mina – I’m glad I’ve pushed someone that way. I’m definitely thankful to those you pushed me to visit Seville. Love the city! This was probably my favorite place during my recent trip to Europe, too. It felt the most Spanish to me of the other cities I visited, or something. And as you mentioned, the cheap tapas and beer aspect also doesn’t hurt! Jackie – You’re such a copy cat. Get your own favourite city. Jess – Wahooo! I’m sure you’ll love Seville. You’ve captured Seville beautifully – it was my favourite city in Spain, too, and I didn’t get to spend nearly enough time there. Though, I’m not sure a lifetime would be enough time there! Seville is one of my favourite European cities too. Love the picture of the waterfront at dawn. Seville! I almost did a TOEFL there but then realised I should probably pay off my credit cards before swanning around a gorgeous Spanish city…it’s number one on my list for when I visit Spain next year, though, and this post has made me want to go even more – these shots are fantastic. Thanks for posting. Visited Seville many years ago. Absolutely loved it. 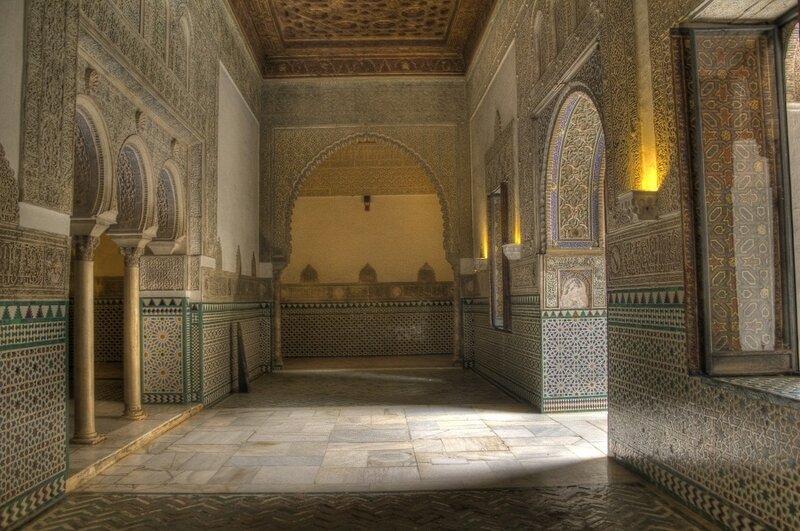 The Alcazar… What a treat!!!! Great job!!! I’m hoping to get to one of or both of the blogging conferences in Portugal/Spain in September and was wondering what I would do on that peninsula for a month. Looks like Seville it is. Gorgeous photos!